Karlsruher SC and Feyenoord meet at Marbella Football Center ‑ Sur 1 (Stadium), for a friendly match. This will be the 2nd friendly match of the year for Karlsruher SC, after the previous one against Magdeburg. As for Feyenoord, this is the 2nd friendly match of the year, after the previous friendly match against Borussia Dortmund. These two teams have never met before, so this will be the first head‑to‑head between them. Both teams register significant differences between home and away results, so the home/away factor is worth atention. The home team plays its 2nd friendly match of the year, after having faced Magdeburg, in a friendly that ended with the final score: Karlsruher SC (0‑3) Magdeburg. This is a team that, oddly enough, has had better results in away matches than at home, since in the last 30 matches they register 9 wins, 3 draws and 3 losses in away matches; against 5 wins, 5 draws and 5 losses at their stadium. 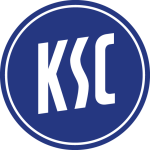 Karlsruher SC has won 5, tied 1 and lost 4 of the last 10 home matches. They haven't been very strong defensively, since they have suffered goals in 7 of the last 10 matches, but their offense has scored frequently, since they have scored goals in 8 of the last 10 matches. Confirmed Lineup: B. Uphoff, D. Gordon, D. Pisot, M. Thiede, D. Roßbach, M. Stiefler, M. Wanitzek, B. Çamoglu, M. Lorenz, M. Pourié, A. Fink. The away team plays its 2nd friendly match of the year, after having faced Borussia Dortmund, in a friendly that ended with the final score: Borussia Dortmund (2‑1) Feyenoord. This is a team that usually makes good use of the home advantage, stronger with the help of its supporters, since in the last 30 matches they register 5 wins, 5 draws and 5 losses in away matches, with 28 goals scored and 25 conceded; against 13 wins, 1 draw and 1 loss at their stadium, with 35 goals scored and 12 conceded. 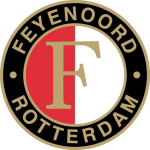 In the last 10 away matches Feyenoord has won 4, tied 3 and lost 3. Defensive consistency hasn’t been their best feature, as they have conceded goals in 7 of the last 10 matches, but their offense has scored consistently, as they have scored goals in 9 of the last 10 matches. In their away matches there is a tendency for goals, since 24 of the last 26 matches have ended with Over 1,5 goals and 18 out of 26 have ended with Over 2,5 goals. In 15 matches, they have conceded the first goal 6 times but have turned the score around in 2. Confirmed Lineup: K. Vermeer, B. Nieuwkoop, L. Geertruida, R. Haps, Eric Botteghin, Y. Ayoub, R. Tapia, O. Kökçü, L. Sinisterra, R. van Persie, M. El Hankouri.